The leading Croatian and regional ice cream and frozen food producer, Ledo, is one of the rare regional companies that is successfully competing against the largest global companies in the ice cream segment. The newest Euromonitor survey has shown that Ledo is strongly maintaining a high share of the market throughout the entire Adria region, as seen in the enclosed map. The world ice cream and frozen dessert market is valued at USD 76.4 billion, and Ledo's position is prominent on the markets of Croatia, Bosnia and Herzegovina, Serbia, Montenegro, Macedonia and Kosovo. “The Euromonitor survey has confirmed that Ledo successfully competes against the largest global companies, and that it can be a market leader. The Adria region is our primary market, where we have firmly held the leader position for decades. In recent years, however, we have taken significant steps forward and gained significant experience in distant countries, including the United States, as one of the world's most demanding markets,” stated Dario Vrabec, CEO of Ledo. Ledo also continually and intensively invests in new product development, introducing many novelties to the market each year that are always based on innovations. This was recently recognised by Mintel, the world renowned company for business intelligence, when it published a detailed analysis of the Ledo product line. Furthermore, Ledo is also strengthening its international operations, by exporting to more than 20 countries in Europe, Africa and Asia. Ledo exports a third of its production to some 20 foreign markets, including the United Arab Emirates, Libya and Azerbaijan. In terms of quantity, the most important export markets are Hungary and Slovenia, followed by Norway and the US, where Ledo works with Kroger, the second largest American and fifth largest global retail chain. 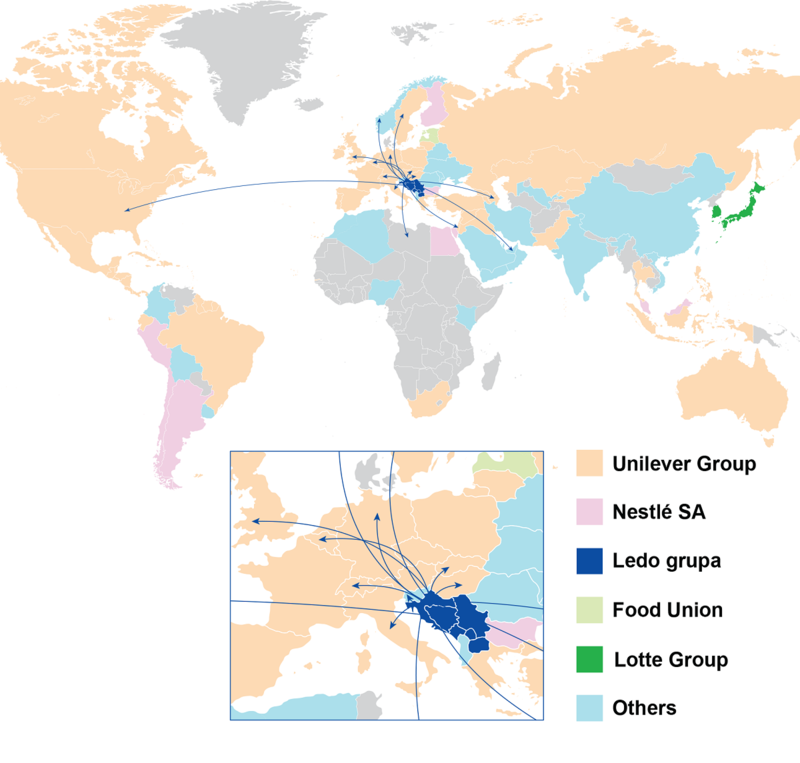 Alongside Kroger, Ledo also cooperates with other large global companies, such as Tesco from the UK, Diplo Is from Norway and IFFCO Unipex Dairy from the United Arab Emirates, for which Ledo produces premium ice creams.